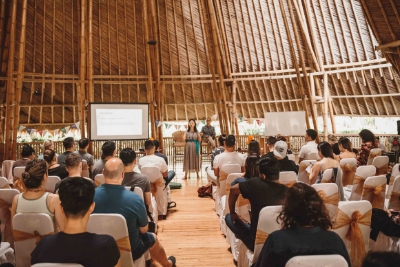 Dojo Programs are a series of retreats, workshops and educational programs, as well as customized corporate retreats & experiences focused on helping purpose-driven individuals & organisations achieve their professional and personal goals. Industry-best mentors, extraordinary learning opportunities, connections with local communities, social and environmental impact, beautiful and exotic locations – each program is an unforgettable journey. A custom-made retreat for creative, visionary, impact-driven women. 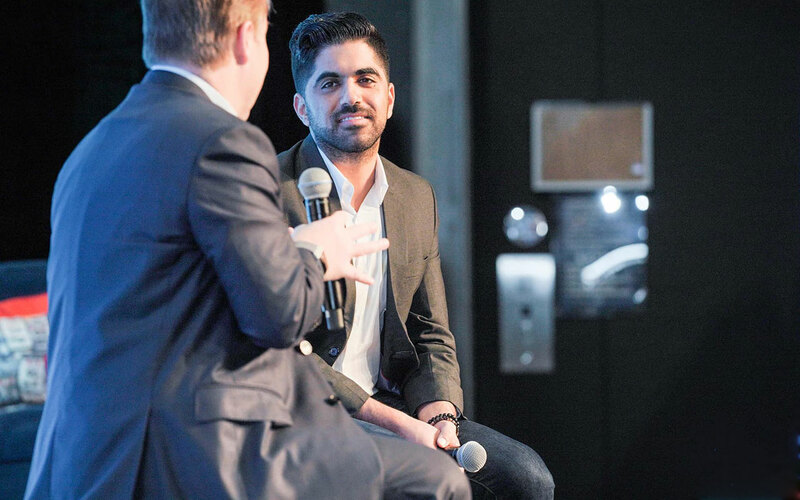 Find your voice, build a meaningful brand and grow your impact. Stay, learn, connect with like-minded women who want to take their purpose-driven business to the next level in a way that feels good, while having fun and joy every single step of the journey. 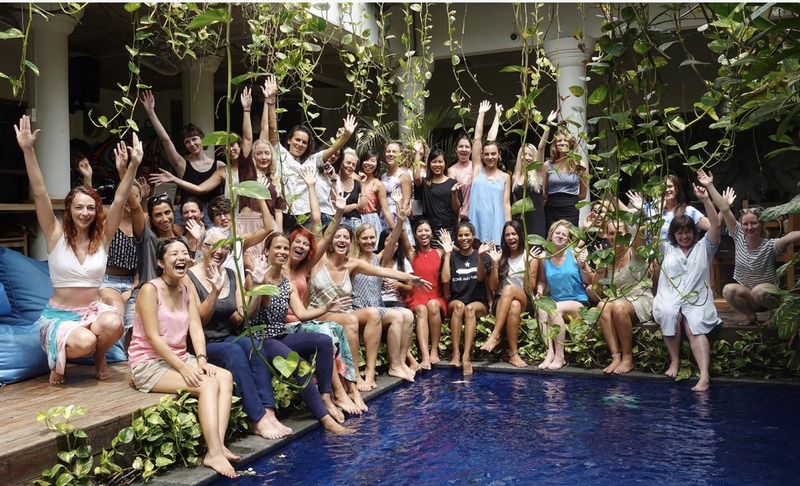 Enquire Now | Coming Soon..
Do you want to have an unforgettable experience, focusing on achieving your personal and professional goals, and in the same time rejuvenate and recharge, connect with like-minded people surrounded by lush tropical nature of Bali? Dojo Retreats are unique experiences designed for to help them get their businesses and personal lives to the next level. Turn your vacation into investment into your future. Dojo workshops are short term 1-3 day programs focused on delivering specific high-level practical content. Wether it is public speaking, web-development, leadership or instructional design – we’ve got that covered! 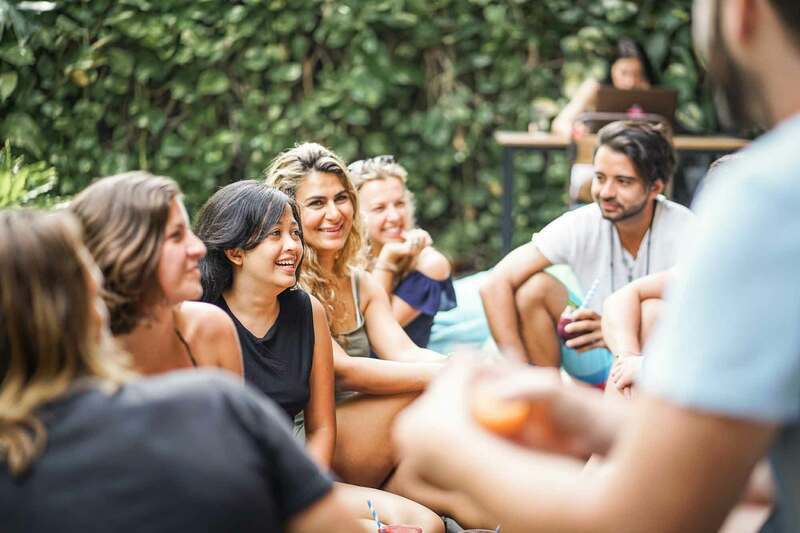 Meet the best industry mentors, learn, network, have fun in Bali! 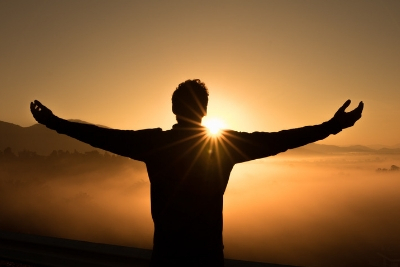 A unique custom-made retreat designed for men, who are ready to embark on their Hero’s Journey, show up as the best version of themselves and live the life of purpose, building their own legacy for next generations. This retreat is a challenging, transformational experience that involves a lot of physical and mental activities for the participants to unleash their inner power, get rid of negative beliefs, shift their mindset to be able to build a new foundation for their personal and professional success. The best networking and learning opportunity! 4 days. 40+ speakers. 400+ attendees. Master the latest Digital Marketing Knowledge. Network with Industry Leaders. Enjoy the tropical paradise of Bali. Would like to host your own workshop/bootcamp/retreat or conference? 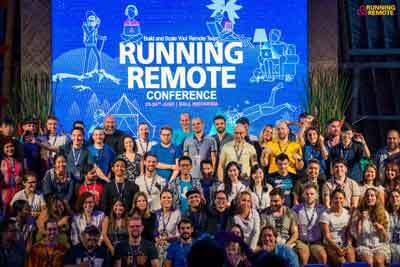 Running a remote team? It is time to bring your tribe to Bali! 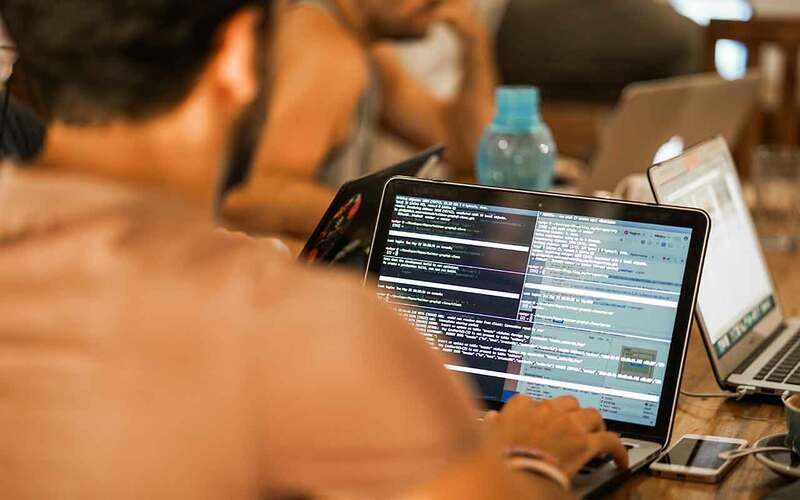 We can design a fully customised program for your company that will help you to great relationships within your team, boost productivity and employee engagement. Become a company everyone wants to work for! Search Inside Yourself (SIY) is a unique two-day workshop that was developed inside Google. This mindful leadership program is helping people develop the leadership and emotional intelligence skills needed to intensify focus, manage stress, harness creativity and improve resilience.